It's all go for Android Wear smartwatch users. Firstly, the 5.1.1 update is beginning to roll-out across the range and secondly, full fat Google Maps seems to be inadvertently landing on certain smartwatches too. Lets start with the official news - the big software update, commonly referred to as Android Wear 5.1.1 Lollipop, which landed with the LG Watch Urbane, is now rolling out across the other devices. Take a look at our comprehensive guide to all the new Android Wear features the update entails - in a nutshell it's a revamped UI, easier menu navigation, always-on apps, emojis and Wi-Fi connectivity. 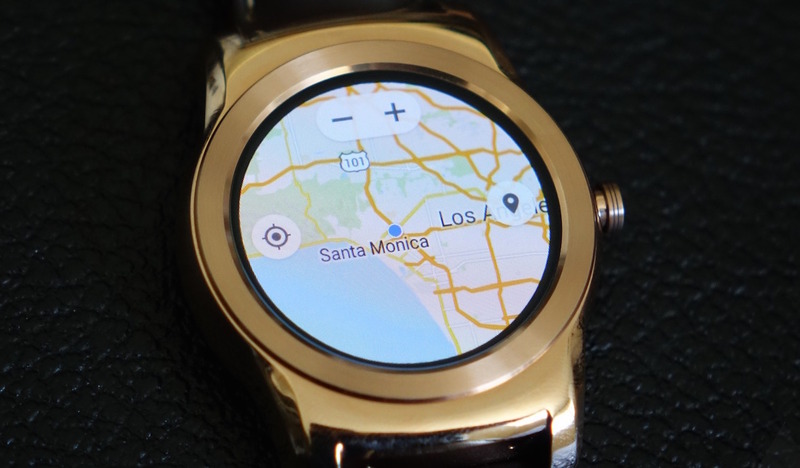 The more interesting update, and one that's not yet official, is Google Maps on Android Wear. We're not talking navigation directions, we're talking top-down mapping with points of interest, zooming, the whole shebang. The chaps at Android Central noticed that if you update your Google Maps Android smartphone app to version 9.9, you get Maps on your Android Wear smartwatch too - by opening Maps on the new app layout or simply saying "open Maps". There's a couple of caveats though. Version 9.9 hasn't yet hit Google Play - you'll have to find an APK file - and the app is said to be somewhat buggy. Hopefully, by the time Uncle Goog slots Maps 9.9 into its app emporium, it will have sorted out any issues. We all knew this was coming - Google actually posted some images of Maps fading to black with the new always-on app feature when announcing 5.1.1 - but we're still yet to hear anything official. As always, we'll keep you posted. Bookmark our Android Wear homepage to stay up to date.